The average 401(k) balance, according to a new study from Fidelity Investments, is $106,500. But that figure by itself does not tell us anything useful: First, the figure includes investors of all ages. It does no good for people who are relatively young or old to compare their balances with this average. A 25-year-old with an average balance of $106,500 would be doing very well indeed, while a 65-year-old with this balance would be in scramble mode. 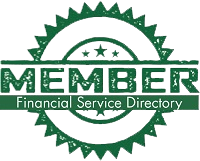 The study likely does not include many Self-Directed 401(k)s – Fidelity mostly handles employer accounts with very few Self-Directed 401(k)s, if any. According to Fidelity data, the dollar-weighted average 401(k) balance for the youngest cohort of investors – those just starting their careers – is $11,600. But the median 20-something has a 401(k) account balance much lower than that – just $4,000. And that’s only of the subset of 20-somethings that has a 401(k) balance at all. Many people in this age group have no access to an employer-sponsored retirement plan at all. Or if they do, many of them have not started contributing yet. The average student loan balance for recent graduates is well over $30,000, while the average monthly student loan payment among those not still in deferment is $393 (median $222), according to data from the Federal Reserve. On average, 30-somethings are sporting average 401(k) balances of $43,600, according to Fidelity’s data. The median account balance is $16,500. One data point to note: These are individual account balances, not total account balances from possible multiple employer plans accruing to individuals. An individual in his or her late 30s with three different plans from private employers of $15,000 each would show up as three accounts of $15,000, not $45,000. So, the average balance is skewed upwards by a few hypersavers and outperformers with exceptionally skillful (or, more likely, lucky!) 401(k) allocations. But the median is pushed downward by the balances at former employers of prolific savers. The average 401(k) balance for 40-somethings is $106,200. The median balance, again, is much smaller than the mean average: $36,900. However, in both cases, the balance easily doubles. This is partly a function of both men and women entering their peak earning years in their late 30s (for women) and late 40s (for men). There’s also a post-student loans effect: There is more cash available to contribute to retirement funds once student loans are paid off. Furthermore, contributions get a boost once children, born in their parents’ early to mid-20s – are grown and college, if any, is paid for. Parents can frequently increase contributions in their late 40s. And, of course, there is the increasing contribution that appreciation makes. The older you get, and the higher your balance, the greater the effect of interest and earnings of investments made in prior years, compared to current contributions. The average 40(k) balance for those in their 50s is $179,100. The median balance is $62,700. This cohort benefits from catch-up contributions, which allow them to contribute an additional $6,000 per year to their 401(k) plans once they turn 50, though only a small percentage of plan participants actually does this. The average 401(k) balance for the 60s cohort is $198,600, according to Fidelities data, while the median balance is $63,000. These individuals can still make catch-up contributions, and are not yet subject to required minimum withdrawals, which won’t become necessary until April 1st of the year after the year in which they turn age 70½. However, at this age, some of them will have already started to take distributions. 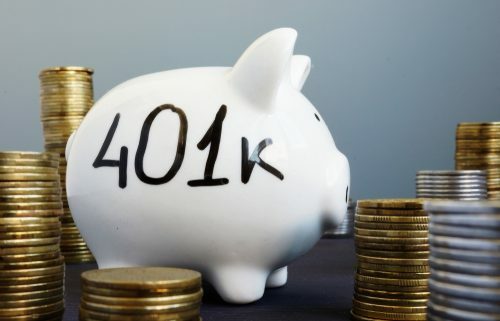 There is no penalty on 401(k) distributions after age 59 ½, and for those who have already left the work force, there’s no penalty after age 55. In reality, both the mean and median income levels listed here are inadequate to fund a comfortable retirement for most of us. As you emerge from your 20s and 30s, you should have retirement balances that are several times greater than your current income.